Another curious prosecution under the Sedition Act. Current Affairs Desk. News Alert: Operation Spectrum forum cancelled due to venue problems. The invoking of the Sedition Act in the prosecution of the Christian couple for distributing offensive tracts may seem overly harsh – setting a dangerous precedent for the future. 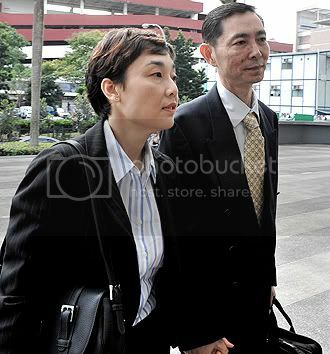 EIGHT WEEKS in jail– that was the sentence dished out under the Sedition Act to Christian couple Mr Ong Kian Cheong and Dorothy Chan for distributing offensive tracts to Muslims. Even so, as ill-judged as the couple’s actions were, it was still a leap to argue that they had committed sedition. The fallout seemed localised; the defendants appeared motivated by religious fervour rather than malice. Nevertheless, the sentencing should have come as little surprise, since a pair of bloggers were similarly jailed under the Act for posting “racist remarks on the Internet in 2005. There is also no surprise that the Muslims who received the tracts were offended and chose to take action. A pair of booklets that were highlighted by the prosecution aimed at advocating conversion away from Islam by grossly misrepresenting the religion. Understandably the recipients –- having received such tracts anonymously in the mail, and with little information about how many had been sent out or the intent of the sender –- were not out of place in fearing that it could be an attempt to undermine their religion. Why Sedition Act and not Penal Code? One curious aspect of the case is that the government chose to prosecute the couple under the portentous Sedition Act, rather than Sections 298 and 298A of the Penal Code which address acts that deliberately injure racial or religious feelings. Furthermore, Sections 298 and 298A were added by the government in 2007 in response to the blogger case of 2005 so as to provide a lower-signature alternative to the Sedition Act to deal with such offenders. In this context, the use of the Sedition Act against Mr Ong and Ms Chan suggests that the government intended to attach a high signature to the case, perhaps for a deterrence effect. Or it could be for the more practical reason that the Sedition Act specifically legislates against the “distribution” of “seditious” material, while the Penal Code is more vague on this point. Invoking the Sedition Act would also allow the government to take action against stores that imported the booklets. Legalities aside, the case is unfortunately timed. National attention on religious matters has been unusually intense of late, particularly since the high-profile ouster of a Christian faction from the Association of Women for Action and Research (AWARE), a local woman’s rights group. The sentences passed on Mr Ong and Ms Chan, who had expressed contrition for their actions, might appear harsh to elements in the Christian community already chaffing at the fallout from the AWARE takeover, perhaps even reinforcing their perceptions that their religion is being unjustly singled out. The government’s decision to invoke the Sedition Act could therefore prove to be a double-edged sword. The Act seems to have become the government’s favoured weapon for tackling racial- and religious-related offences. Interestingly, prior to the 2005 cases involving the bloggers, the last time the Act was invoked was in 1966. The problem is that the present case might have set a relatively low bar for invoking the Act, causing the government to rely more rather than less on it in future.